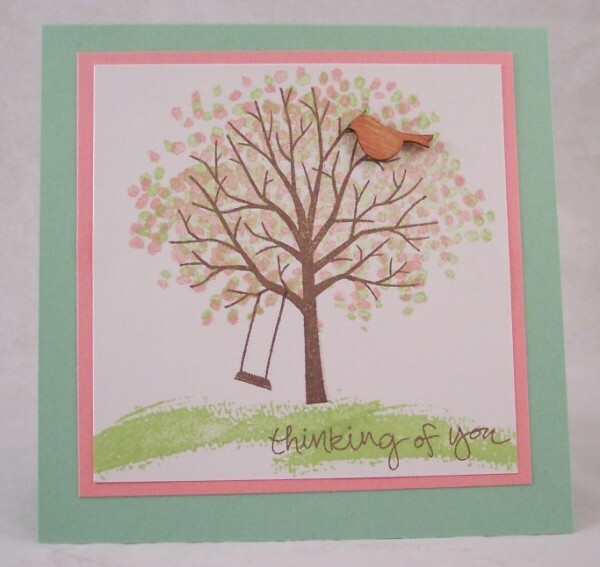 I’m back to share even more new products and ideas from the brand new Stampin’ Up catalog! This catalog is full of wonderful ideas for card making, scrapbooking and parties! There are loads and loads of new stamps in wood mount, cling mounted and photo-polymer options including new large single background stamps and coordinating stamp sets with themes like birthdays, babies, florals, tags, borders, butterflies, words and phrase, friendship, animals, outdoors, kids and so much more. For quick but beautiful scrapbook pages there are a bunch of new Project Life collections and accessories. You’ll also find new project kits, embossing folders, patterned washi tapes, embellishments and thinlits and framelits metal dies. There’s also 5 new “in colors” in ink pads, pattern paper, markers, cardstock, and lace ribbon. The new catalog for Stampin’ Up has you covered for all your paper crafting needs! 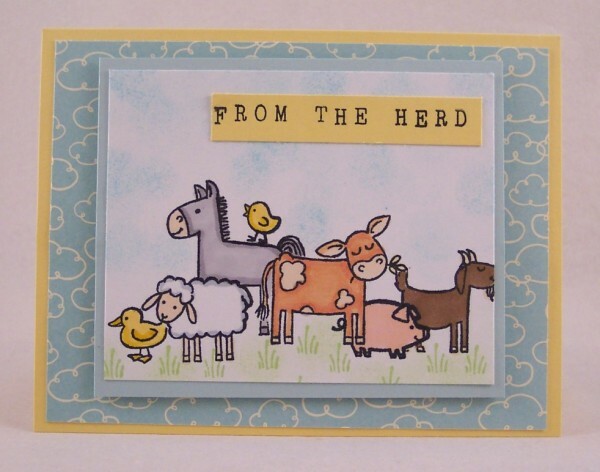 For my first card, shown above, I used the Barnyard Babies set, masking off some of the animal so I could group them together. For the words I used one of my favorite new stamps the Alphabet Rotary Stamp, this large stamp has letters, numbers and punctuation and lets you stamp out any phrase you like up to 13 characters long, it’s really amazing! 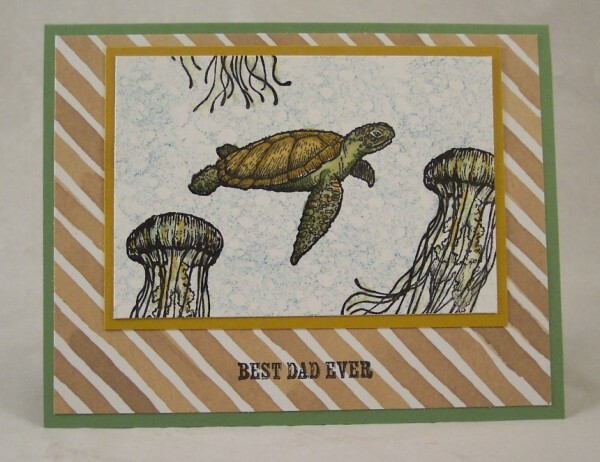 The cloud paper on the card is from the Sweet Little Things Designer series. This is a fun card to make if you’re sending it from a whole group of people (the herd :)). 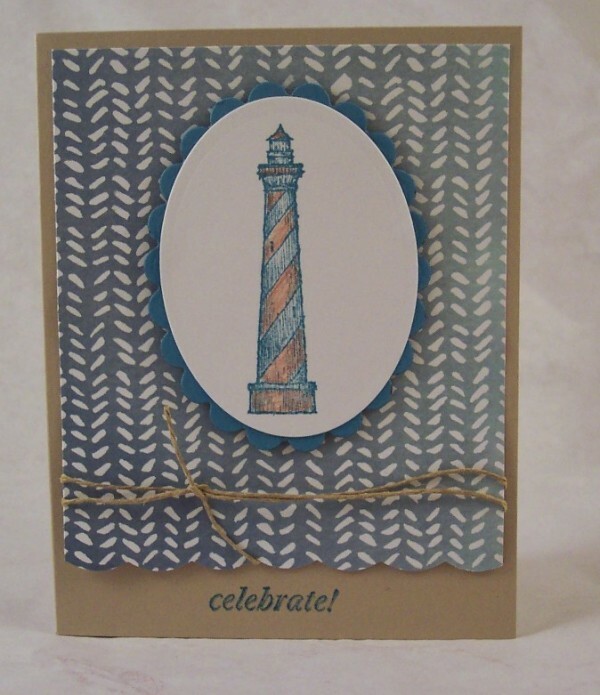 For this card I used the From Land to Sea stamp set with In Color cardstocks and English Garden Designer series paper. The words are from the And Many More set, this versatile words set has SO many great phrases! 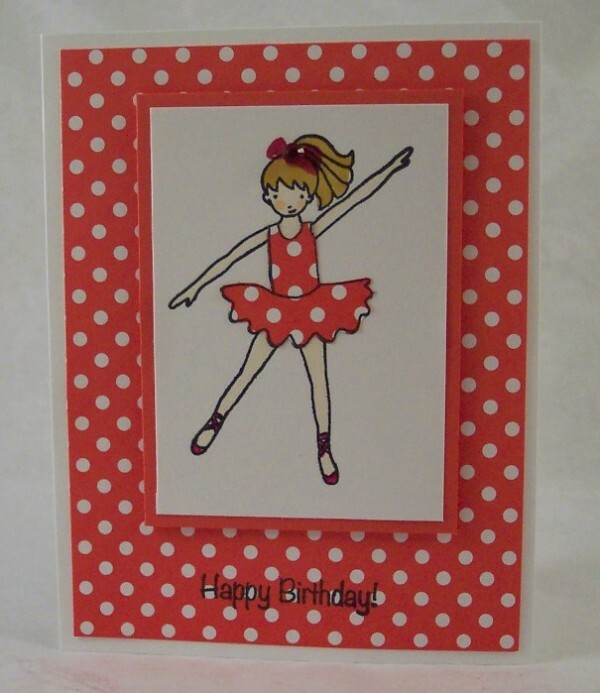 Next I used one of the cute girls from the Talented Trio set using a paper piecing technique for her tutu using Watermelon Wonder In Color Collection polka dot paper and cardstock. The Sheltering Tree stamp set is quickly becoming one of my favorite new sets, it’s great for any season and the accessories make it so fun to create little outdoor scenes. Products from the new Stampin’ Up catalog are available NOW! Click here to shop on line or contact your local demonstrator to place an order or have a party, if you don’t have a demonstrator you can find one here. If you missed the samples from my first two posts click here and here to check them out.